Found 15 blog entries about Market Analysis. Thursday, March 22nd, 2018 at 11:20am. The Fed Raised the Interest Rate...What Does That Mean For Homeowners? Thursday, December 31st, 2015 at 12:44am. In case you missed it, earlier this month the Federal Reserve decided to raise the interest rate by 0.25%. What does that mean? Great question. Banks lend money to each other every day at the Federal Reserve's predetermined rate. Now, that rate has been bumped up a notch. It's a good sign, because it means they feel confident enough in the economy's strength that they don't have to lend money with rock-bottom interest rates. Without getting too complex, raising the rate also makes sure that inflation stays in check and the cost of daily life doesn't get out of control. Monday, January 19th, 2015 at 2:24pm. It's that time of year again. Let's take a look at the most expensive homes sold in Omaha during 2014. If you want to take a look at our older posts, here you go. Without further ado, here are the most expensive homes sold in Omaha in 2014. This home is located in Linden Estates. 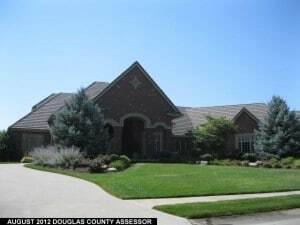 This home is located in the Fairacres neighborhood of midtown Omaha. Searching For An Aksarben Home? Friday, January 9th, 2015 at 4:02pm. 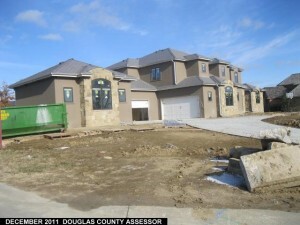 We've created a page dedicated to Aksarben homes for sale. Aksarben is vibrant community. It is conveniently located in mid-town Omaha. It is next to the UNO Campus. Aksarben Village is home to corporate headquarters, restaurants, Aksarben Cinema, and more. It is also the future site of the UNO Community Arena. Homes in this neighborhood are in the $100,000 to $200,000 price range. It is a great neighborhood if you are starting a family or buying your first home. Tuesday, February 7th, 2012 at 9:53pm. From the Omaha World-Herald: Omaha-area housing sales shot up in the new year, with the number of homes contracted for sale in January rising about 40 percent over the previous month and 33 percent over the same month a year ago. Thursday, January 26th, 2012 at 3:10pm. Daily Finance just published an article on "The 10 Best Cities for Raising a Family". Omaha came in at #8. Some of the criteria... "The best-performing cities to make our list have large public outdoor spaces, lots of playgrounds, top hospitals and strong schools." The article highlighted Omaha's low unemployment rate and top-ranking hospitals. Tuesday, January 17th, 2012 at 2:37pm. Have you ever wondered how much luxury homes are selling for in Omaha?&nbsp; Here is a look at the most expensive homes sold in Omaha during the first six months of 2011.